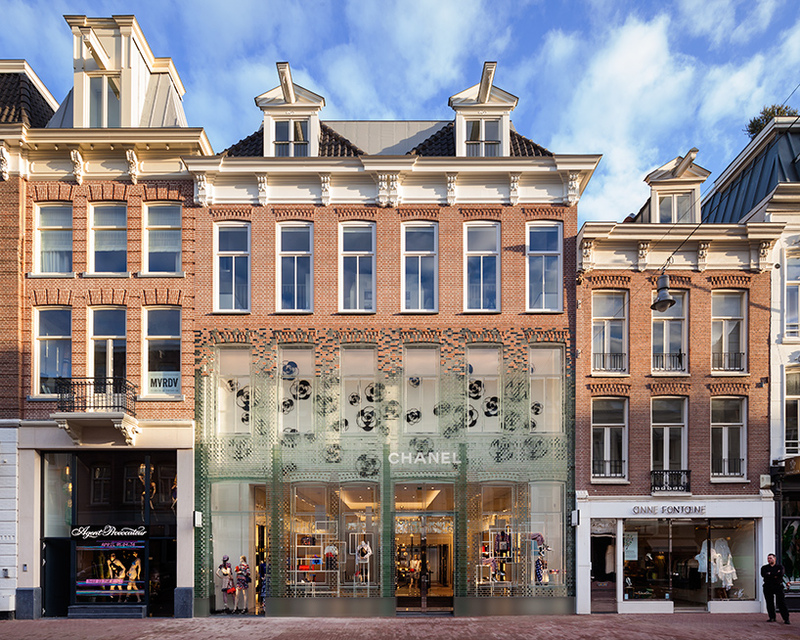 MVRDV’s Crystal Houses project, seen here, just opened on Amsterdam’s upmarket shopping street, PC Hooftstraat. 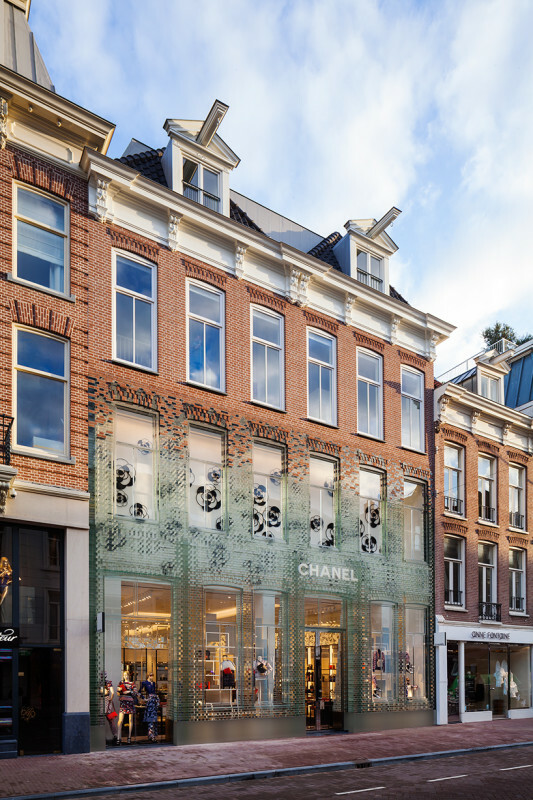 The Dutch firm from Delft employed a gradient that mixes terra-cotta and glass brick for the building’s ornate facade. 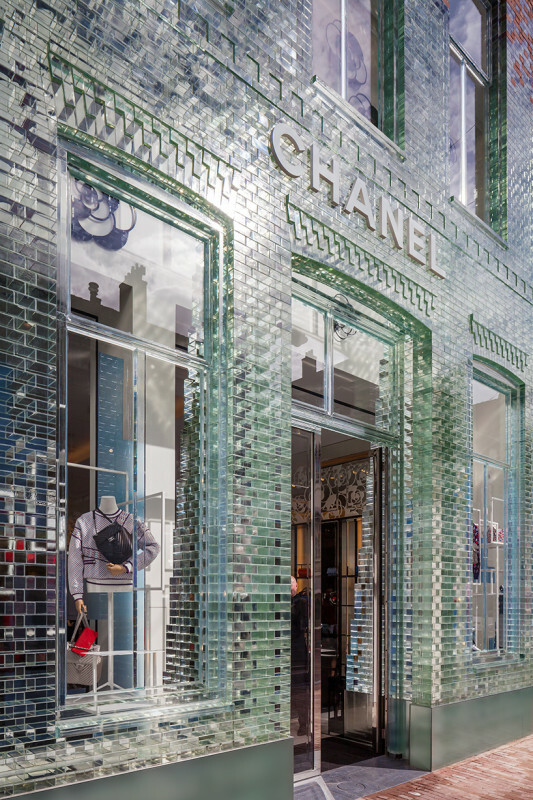 The tenant is Chanel and this is this is their flagship store in the city. 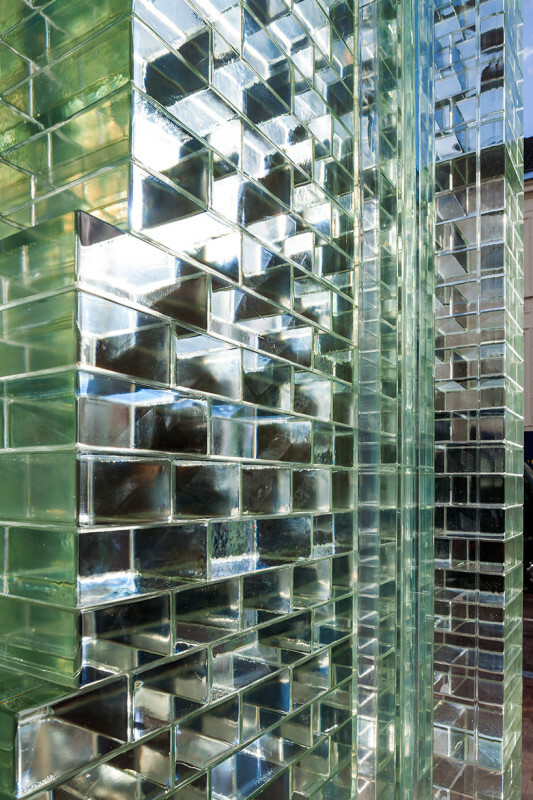 The glass bricks, which form window frames and architraves, “evoke the vernacular of the area with the goal to maintain the character of the site,” said the firm. Designed for investor Warenar, the building will occupy 90,420 square feet, of which 6,670 square feet will be used for retail. The rest will go towards housing. 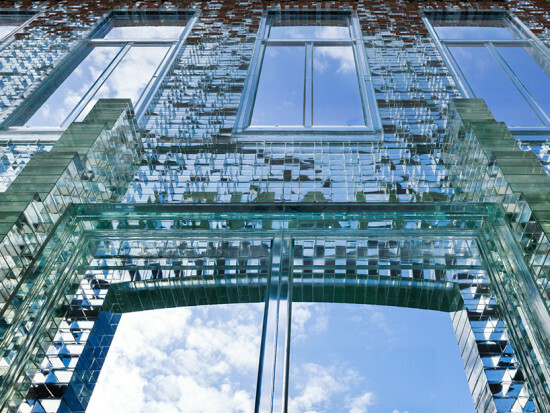 Emulating the original elevation, the glass facade rises up from the ground eventually dissolving into the terra-cotta brick used above. Due to updated zoning laws in Amsterdam, the building had to facilitate for more interior space and could increase in height. This allowed the facade to be stretched, leading to this unique treatment. As a result, the real brick structure appears to float above the street, with bricks being suspended as they crumble down. As for the actual bricks, terra-cotta brick was employed to comply with Amsterdam’s regulations on building aesthetics. The facade perhaps is a good example of how regulations on aesthetics can both preserve historic and cultural town character as well as breed creativity. The end effect is a building that is allowed to stand out but crucially not tastelessly outdo any of its counterparts. 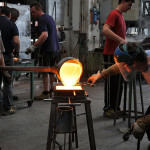 The glass bricks themselves are individually crafted by Poesia, a glass brick foundry in Resana, near Venice. Together, they are UV bonded with a transparent glue from German firm Delo Industrial Adhesives. 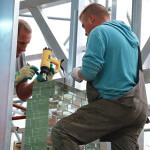 The first facade of its kind, construction required up to ten experts working daily, year-round. 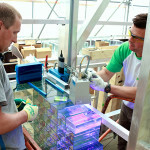 MVRDV say that site during this process ended up looking more like a laboratory than a place for bricklaying. The time effort, though it must be said, appears to be worth it.